This empties post is long overdue, so much so, it’s going to be a two parter! Part one is all skincare and part two will be skincare and some body and nail products. Thankfully everything I have used I’ve loved and would highly recommend so let’s get started! I bought this back in Spring and only just finished it coming up to Black Friday (November). I had every intention of re-purchasing it and low and behold it was on offer in the Black Friday Sales and cost me only €10 for the 15ml (normally €30). They also do a 30ml size and that is €45. 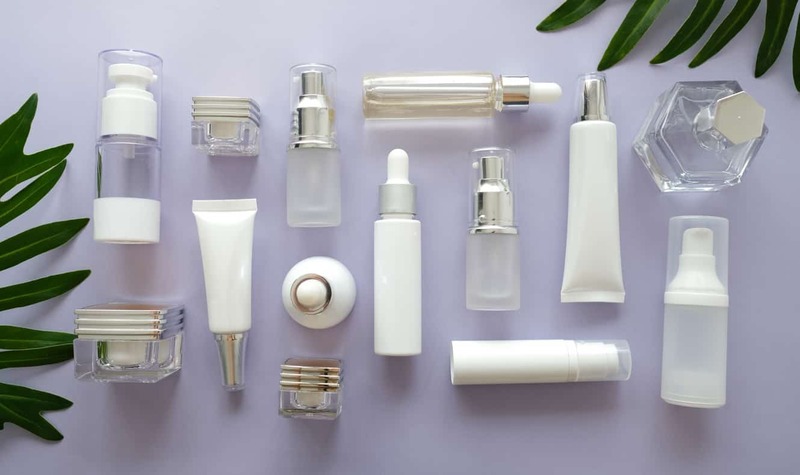 I love hyaluronic serums, as they’re such great hydrators and suitable for all skin types, especially for oily or combination skin that needs a little extra hydration, and for those with dry skin it’s great to layer it with your moisturiser. I have used various ones in the past, but nothing in my opinion compares to the NIOD one, in terms of pleasantness to use and effectiveness and believe me the effects are instant. When my skin looks tired or dull it gives an immediate plumping and brightening effect, and it never makes me break out. Consistency wise it’s a lot thinner than some of the other ones I have used, which I prefer, and a little goes a long way, a much over-used term in beauty speak but it’s true. I apply in the morning, after my niacinamide serum but you can apply directly after cleansing and follow with your other serums/creams. Always remember, when it comes to layering, the lightest consistency first. Now for the science bit! 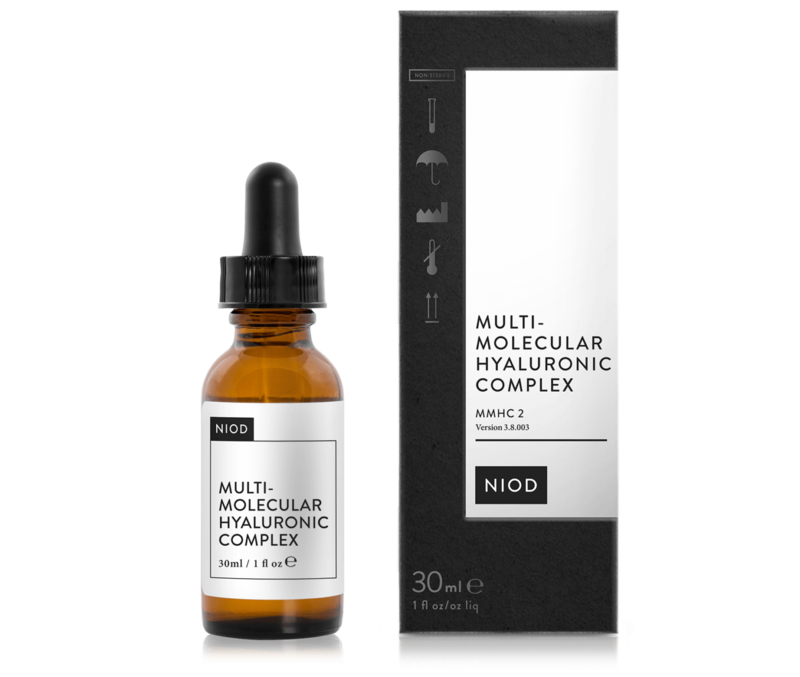 NIOD Multi Molecular Hyaluronic Complex (MMHC2) delivers a thirst-quenching drink of water to you skin, leaving skin feeling plumper and your complexion more rejuvenated. It has 15 forms of hyaluronic compounds at low, mid and high molecular weights. Simply put, the high molecular weight hyaluronic acid sits more on the surface, smoothing the uppermost layers, and provides surface hydration and prevents moisture loss, while the mid-molecular weight offers short-term comfort and hydration to the middle layers of the skin and the lowest molecular weight penetrates deeper into the layers of the skin, where deeper wrinkles originate, giving lasting hydration and also stimulating the body’s own production of hyaluronic acid. Another added benefit of this serum is that it also contains peptides, which boost proteins in our skin, essential for healthy collagen and which keeps our skin firm and youthful. All in all, if you decide to try this serum yourself, you will instantly see skin which is hydrated, smoother and more supple. Yes Please! Such is my love for this product I ended up cutting the tube, so I could get the very last bit. This is a masque that gently exfoliates using a blend of Glycolic, Lactic and Salicylic Acid which work to resurface the skin by dissolving dead skin cells sitting on the skin’s surface whilst also improving the appearance of uneven skin tone and texture. You could call it mini “home peel” and it is without doubt one of those products where you see an immediate difference upon using. My skin always feels smoother and brighter afterwards. The other beneficial ingredients it contains are Vitamin C, a powerful antioxidant. Hyaluronic Acid, our hydrating bestie, Papaya, an enzyme exfoliator and lastly Arnica Montana which acts as an anti-inflammatory. Great for skin that is ageing (hello! ), oily (blackheads and congestion), acne prone and sun damaged. It’s simple to use, apply to a cleansed face in a thin layer avoiding the delicate eye area, leave for 5-30 minutes and then wet your hands and massage for one minute. Remove any excess masque with warm water. I use once a week, but it is safe to use up to three times per week and if you want a powerful cleanse, add a little into your cleanser. This is an empty and I’m also nearing a second empty of it which just might indicate how much I enjoy using it. 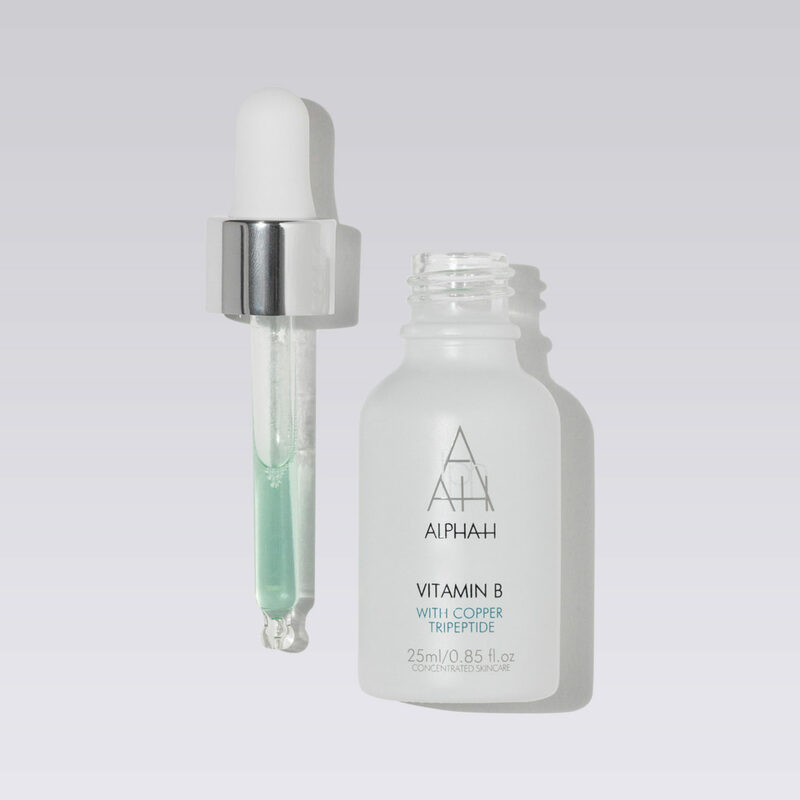 For me this product is something of an unsung hero – In a nutshell it’s a potent multi-tasking vitamin serum fortified with Niacinamide and Copper Tripeptide which combine together to tackle the appearance of premature ageing and the effects of daily environmental aggressors on our skin. It also contains the powerful natural antioxidant Chia Seed to assist in plumping and hydrating the skin as well as Ferulic Acid to help diminish the appearance of uneven skin tone. Copper Peptides, combine Copper with amino acids, creating a kind of ‘daily protein powder’ for your skin, which has a powerful regenerative effect, promoting the production of collagen and elastin which in turn helps to firm skin and protect against loss of volume. Chia Seed, rich in omega 3 and 6 essential fatty acids, as well as Vitamin E, deliver a serious helping of hydration while also acting to prevent moisture loss. Finally, extracted from rice bran oil, ferulic acid, one of nature’s most powerful antioxidants, helps to even skin tone, for a brighter, fresher complexion. Why do I love it – for skin that is dull, dehydrated and just meh looking, you will see skin is firmer, more radiant, more even-toned and in general, healthier. Whatever your age, you will see the benefits of using this serum.